speak to your college, event, or organization? You've caught Dr. DaShanne Stokes on television, heard him on the radio, and read his work. Would you like him to speak to your college, conference, organization, or event? Please submit your information using the form below or email speaking (at) dashannestokes (dot) com. Dr. Stokes reveals the depth of injustice waged upon those who have been marginalized and who might be otherwise left silenced if not for courageous voices, like his. --Amanda H.L. Transue-Woolston, speaker and author of "The Declassified Adoptee"
Dr. DaShanne Stokes is an expert on American politics, culture, and civil rights. He has studied domestic and international politics, American foreign policy, power, propaganda, inequality, Native American issues, religious freedom, civil rights--and the complex challenges and contradictions these entail. Dr. Stokes has been writing and speaking publicly for over a decade. His fresh, provocative, and inspiring thinking has been quoted by world leaders and have made him a sought after guest featured on NPR, the BBC, NBC, CBS, Sky News Tonight, MSN.com, and other national and international media. Stokes has spoken at college campuses and prestigious scholarly conferences. He has also been quoted hundreds of times around the world in major outlets like People, USA Today, The Hill, The Independent, Daily Mail, MSN, BET, The Nation, Elite Daily, The Daily Dot, Huffington Post, The Daily Caller, Observer, International Business Times, The Courier-Gazette, Pittsburgh Post-Gazette, The Charlotte Observer, and The Philadelphia Inquirer. 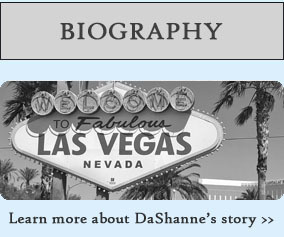 You can download DaShanne Stokes' audience introduction and biographical talking points here. "DaShanne" is pronounced Duh-Shane, similar to the name Dwayne except replacing "wayne" with "Shanne". It has two syllables, and it is all one name. There are no pauses between the two syllables, and there are no spaces between any of the letters when the name is written or printed. Note that this is just like the name Shane, except that it has a quick and soft d in front of it. Please note that this is a short, soft d, not not a long or hard d like when you say the letter d (which is pronounced dee or 'd&emacr;). A dictionary pronunciation guide would look something like this: d'sh&amacr;n.
Dr. Stokes' last name, "Stokes," rhymes with "pokes." 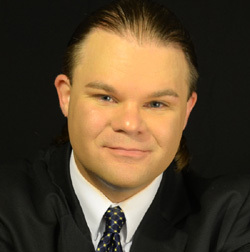 Whenever promoting Dr. Stokes' work, please link to http://www.dashannestokes.com. When posting a review or promotion, please let Dr. Stokes know so that your promotion can be added to or linked from www.dashannestokes.com. "Racism hurts everyone, including racists themselves."